City of Sydney Deputy Lord Mayor Linda Scott and I have united in a call to the Transport Minister to urgently prioritise the reopening of the Green Square station pedestrian tunnel underneath Botany Road, citing the community’s concerns for pedestrian safety at one of the state’s busiest intersections. 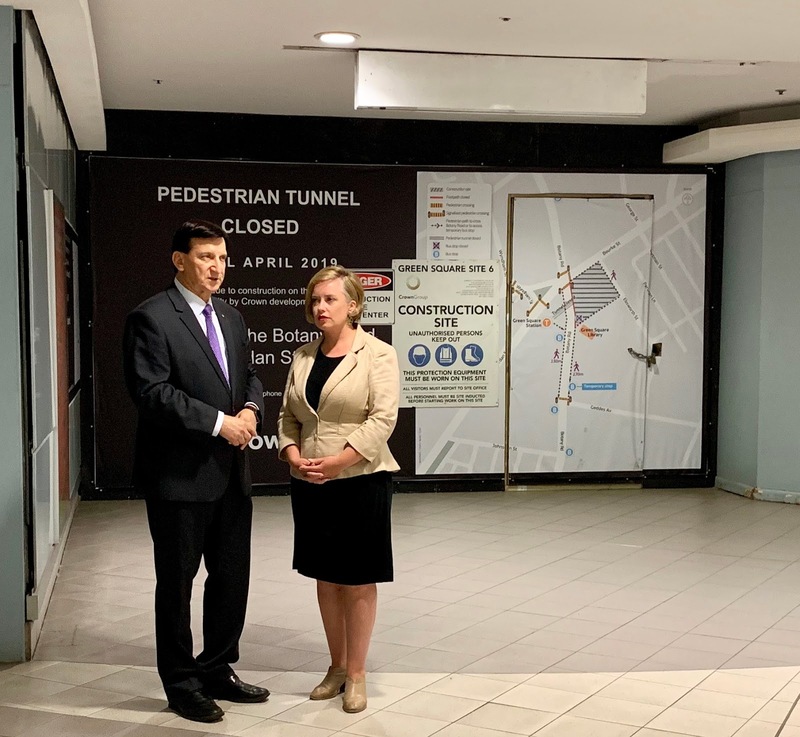 The tunnel was closed by Transport for NSW (TfNSW), the state’s peak transport agency, in November 2018 to facilitate upgrades to lifts and stairs as a condition of approval of the “Infinity by Crown” development at 301 Botany Road, Zetland. The tunnel allowed pedestrians to safely cross underneath Botany Road to access the station, but its closure forces them to instead queue on a narrowed footpath and wait for the lights to change. The tunnel is expected to reopen in April 2019, but Cr Scott and say these urgent works need to be expedited to ensure passenger safety, which can only occur by agreement between TfNSW and the developer, Crown. We are calling on the Minister for Transport, Andrew Constance, to enter urgent talks with the developer to reopen the tunnel as soon as possible. The station is serviced by the Airport Line and is one of Sydney’s busiest stations. It is located at the corner of Bourke Street, Botany Road, and O’Riordan Street, a key heavy vehicle route and major artery servicing the CBD and Sydney Airport. More than 21,000 passengers access Green Square station by foot every weekday, a figure that increases 25% annually. A young mother was tragically killed and five other pedestrians were seriously injured in December 2018, after a truck carrying bricks plowed off the road onto the footpath just 150 metres from the entrance to the station. More than 61 000 people will call the Green Square precinct home by the time it is completed in the next decade, making it the densest community in the country. This tunnel needs to finished and opened to the public quick smart. The Minister really needs to act. We know the risks that pedestrians face as long as this tunnel is closed, and we learned last year just how tragic the results can be in what was just an accident. 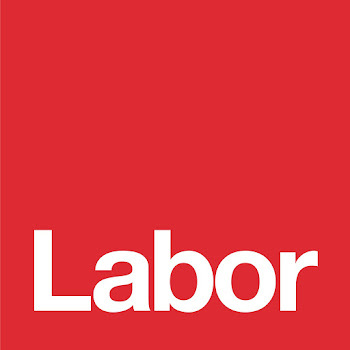 NSW Labor will, if elected in March scrap the Liberals controversial Medium Density Housing Code (The Code). The Code, which was introduced by the Liberal Government in 2018, allows for the inclusion of medium density housing, such as one and two storey dual occupancies, and terraces as complying development under the State Environment Planning Policy. Under the Code, complying developments do not require a full development application to a council, instead only a complying development certificate issued by a private certifier, taking away council and community input. This is not proper planning policy and has been done not to benefit the community only developers. Each development need to be advertised and assessed on its individual merits after community consultation. It is the role of government to have a legislative framework that provides an open, transparent, quick and efficient determination. It is essential that this framework allows councils to work with their communities to achieve that objective. When Labor's spokesperson said: "The Code is just another example of the Liberal Government’s complete mismanagement of the planning system and disregard for community and council expectations;" she was right. Labor will put people and communities back at the heart of planning and scrap the Liberal’s overdevelopment agenda. Labor supports medium density when provided for in Local Environmental Plans, however, the failed Code was imposed on councils, and denied communities and councils input in determining what is best for their respective communities.